Fabbriche di Vergemoli, Toscana. Signor Frati checks out who is talking to his wife Carla about the house next door, which is offered for one euro. Photo by Serge Tesker. 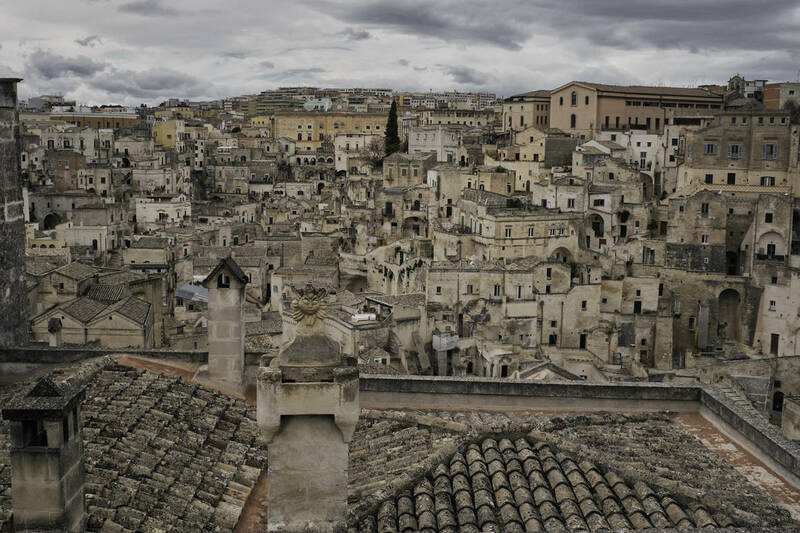 Matera, Basilicata. Layers of Matera: Sasso Barisano, Zona Centro, cieli. Photo by Serge Tesker. Montebruno, Ligure. 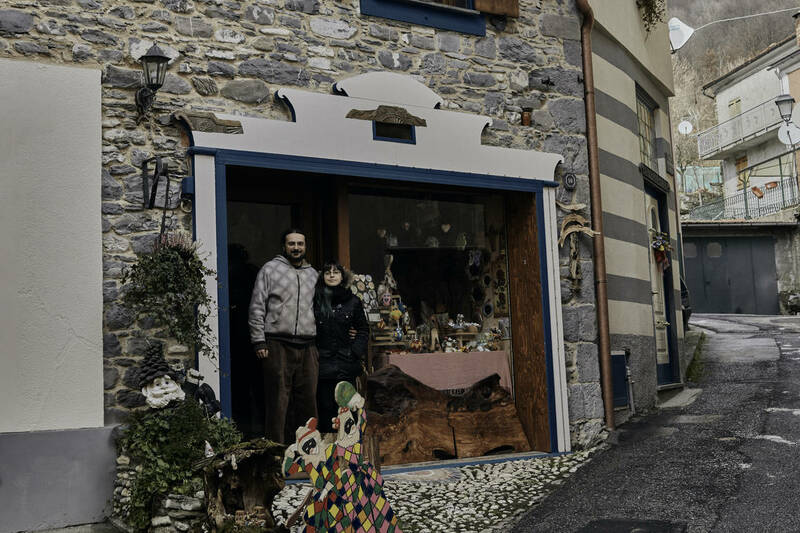 Michelangelo and Sara in front of their shop. Photo by Serge Tesker. Rotondo, Le Marche. Photo by Serge Tesker. Craco, Basilicata. 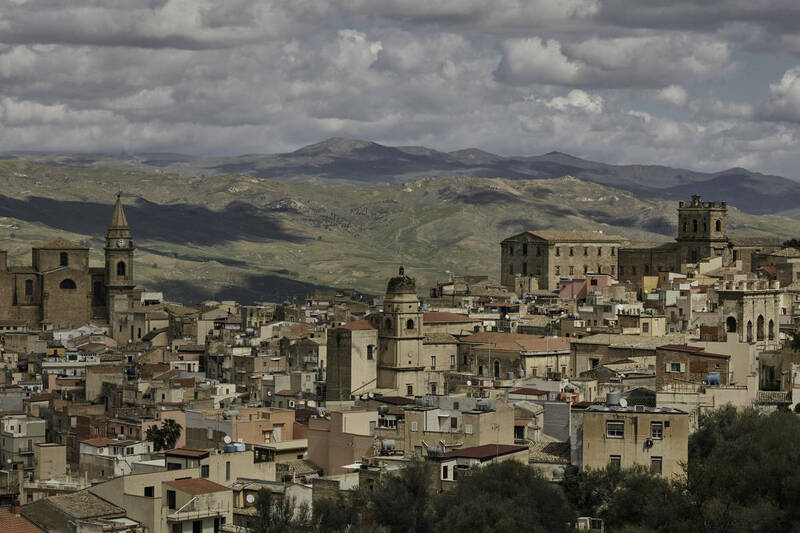 Craco: a once powerful city, now a ghost town and movie set. Photo by Serge Tesker. Back in 2008, the prominent Italian art critic, cultural commentator, politician, and TV personality, Vittorio Sgarbi, began promoting the initiative to sell houses for one euro in the Sicilian town of Salemi, of which he was then Mayor. The objective was to favor the restoration of abandoned homes in order to repopulate the town, whose population had been steadily decreasing. The project faced some issues relating to the state of some of the buildings, which were deemed unsafe. Sgarbi faced charges but was ultimately absolved in 2016. Meanwhile, the idea was taken up in other municipalities across Italy since many towns face problems similar to those of Salemi. The project doesn’t appear to be very organized, with different actors acting independently and disparately. An estimated 20 municipalities are carrying out the initiative, though not all of them have released official public bans. The idea is that those wishing to inhabit the houses year-round are prioritized in the selection process compared to those only wishing to use them as vacation homes, but it isn’t quite clear whether or how this rule is enforced. In some towns, only a few houses are available, while in others the offer is broader. However, the initiative is garnering a lot of enthusiasm and was taken up in other countries as well, including France and the United Kingdom. 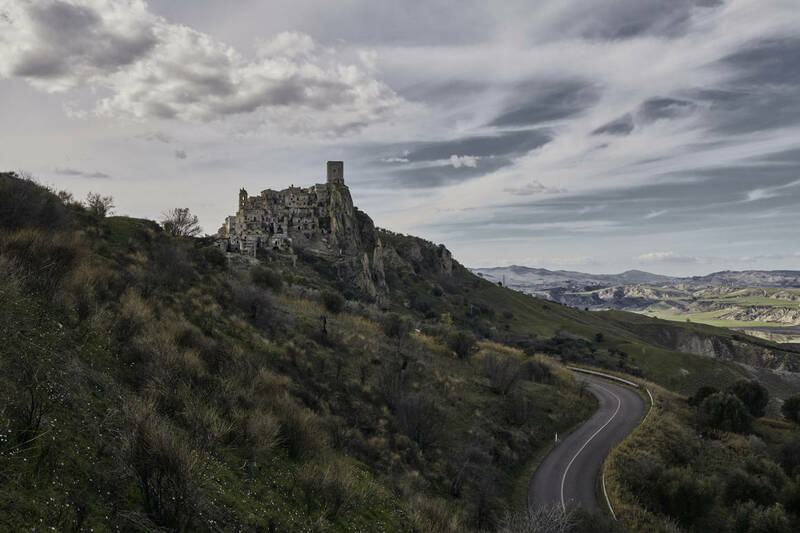 A one-euro house in the town of Gangi was featured in an episode of the popular TV show House Hunters International and the Canadian photographer Serge Tesker realized a photo series featuring a few of the Italian towns adhering to the initiative. 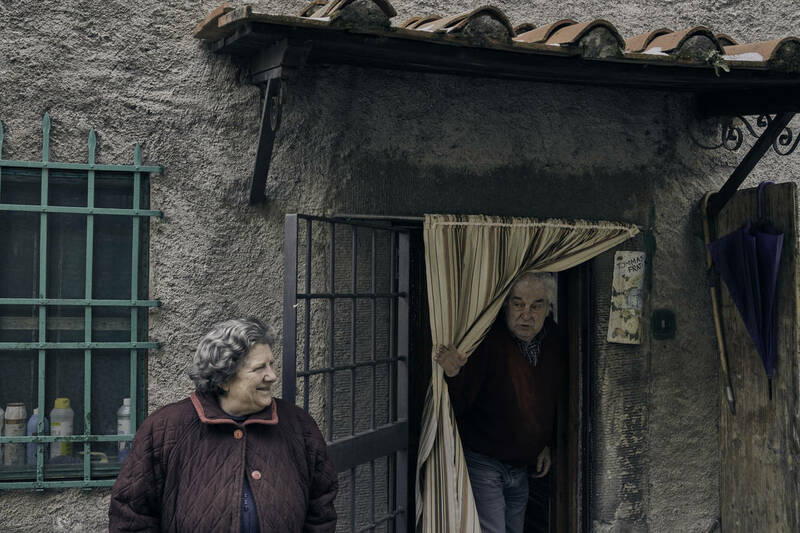 The series, which was exhibited in Toronto in 2018, captures the beauty and melancholy of these lonely “borghi,” shaped and marked by the numerous lives spent there, generation after generation, throughout the centuries. A much-needed and inspiring initiative with the potential to bring new life to beautiful yet neglected corners of Italy, the one-euro project is ongoing and expanding. You can find more information on the dedicated website.